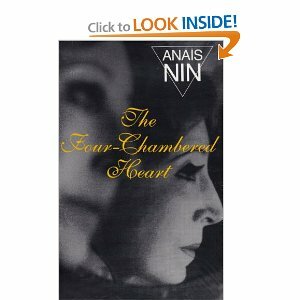 For Nin aficionado’s, its time to whip out your copy of The Four-Chambered Heart. You can read it in minutes on your Kindle. Some years ago we suggested that readers of this blog write to Amazon and ask that Nin’s work appear on a Kindle. On April 29. 2009 we wrote a long post about Amazon’s new Kindle and asked that readers write Amazon to get her publishers to put her works on the Kindle. Here is the original link and our instructions. We want to thank our followers for helping make Anaïs an easy Valentine read. Let’s start a Kindle Anaïs Nin revolution. Sign on to our website and from the bookstore links, ask that the Diaries be available on a Kindle. Follow this link to see a sample link. This may take time and dedication, but we need your help! Everyday,(particularly all you wonderful followers!) log on to the bookstore and go down the list and where it says CLICK HERE TO ORDER just click on and when you see this image of a Kindle check the link that says: Tell the Publisher! I’d like to read this book on Kindle. Let’s not all start with Fire! Here’s what some fans have said about it on Good Reads. And here’s what her Kindle publishers have said about the book. The Story Behind The Four Chambered Heart.